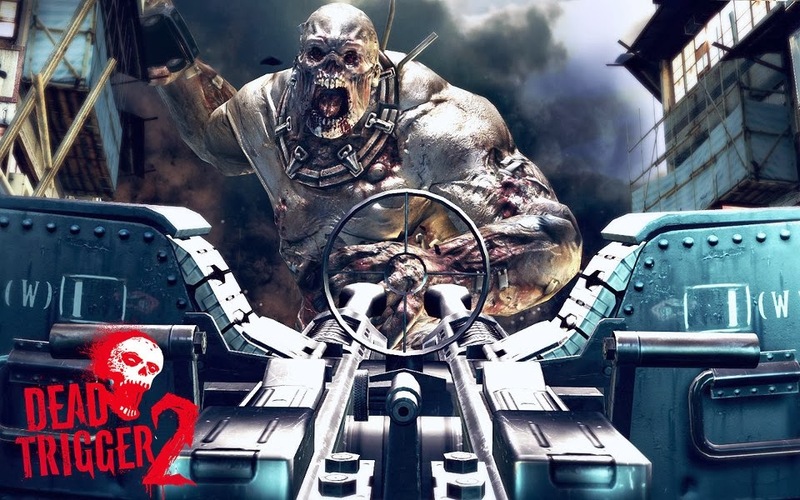 Can you take the charge of killing zombies? Are you ready for the spine-chilling suspense and nerve-shattering violence? 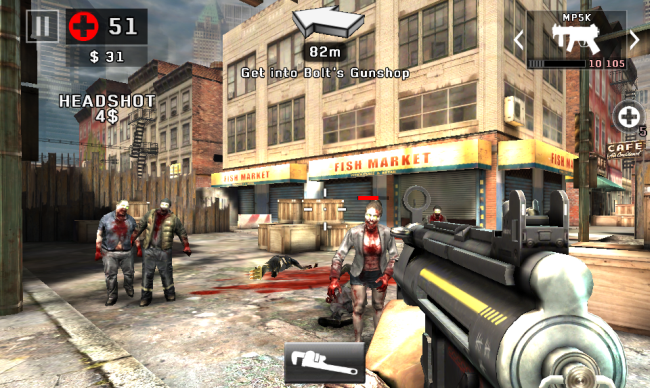 Madfinger has in its stock the opportunity to play it for free, and the name you have to look for is Dead Trigger 2. Pros: So many weapons, beautiful graphics and too much content and all that for free! It is a game of fight for humanity and it is a motivation that drives all the players to get, set and go. It is an organisation that is working from all the corners of the world, and as many people join them, it will be walking towards the victory and winning over the zombies. Time plays a vital role in Dead Trigger 2, and it has to be wisely utilized to go ahead in the game. The setting is in a place where decomposed bodies are scattered here and there. You can’t afford to be horrified at their looks but have to rush through them before a zombie gets the chance to knock you down. You will be armed by several weaponries and the mode of fight is left to your choice. Take care of health and wellbeing, if you are too exhausted, bank on few painkillers and you’ll feel refreshed. Keep all those bullets handy and don’t forget to use those explosive barrels, they will save your life and can unsettle those zombies who have been creating nuisance everywhere around. Didn’t your HUD warn you anything regarding the most ghastly Vomitron? Watch out, he will be just gushing in. He has the dirty habit of throwing up on your eyes. Try to save them, or else he would end up putting you in more of a mess, which will take a whole lot of trial to recover and maintain your scoreboard. As you go deeper with the Dead Trigger 2, you will come across a number of survivors who are specially trained to fight. All of you need to move around the South America and gun down the zombies. Beware, they will not sit idle either and collect more power and strength to put you down. 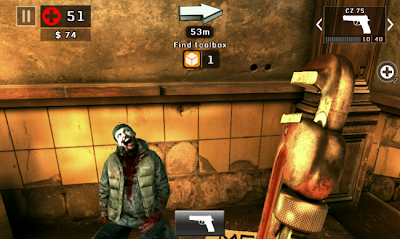 So get yourself some good wrenches and pistols, and try to meet up with as many survivors you can. That is the only way to unlock more options to fight and demolish the zombies. While you are busy with all this, take a glimpse at the mirror, you have grown into a professional zombie killer, before you would have even realized and now it is time to march towards the next phase of the game, where a whole battalion of deadly monsters are in search of your blood. In between, you will be introduced to a row of side missions, after you have crossed the first few levels. Go and hunt for more ammunition supplies, set on the sniper fire, if not these, then at least speed up your skill in killing zombies before you are timed out. The main controller of the main character here is a joystick, and it is the best challenge thrown towards the crowd of zombies. Enjoy the hi-tech shooting style of the game and sharpen your aim, even if the game stops you from doing so because of its unexpected technical flaws. Once you are there in Dead Trigger 2, these trivial technical impurities will get erased from your mind. The visuals, the game plan with its challenges will zap your attention and memories for quite a long period of time. Even if you aren’t happy with the soundtracks, your killer instinct will prompt you to play it again and again, especially when, you won’t have to pay anything for the exciting experience.